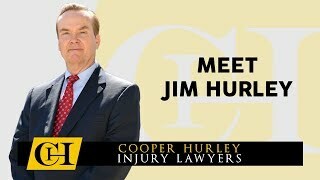 Jim Hurley has been practicing law throughout Virginia for more than two-and-a-half decades. During his career, he has tried more than 100 jury trials — a staggering number — and handled hundreds more that were settled out of court. He is guided by the principle that the client is in charge of his or her case and should be kept fully aware of the litigation process. Jim has been awarded an AV Rating by Martindale-Hubbell, the highest rating given, for his practice of law. He was named in Virginia Super Lawyers in 2014-2019. Jim lives in the Larchmont area of Norfolk. He is married to Pam, a Norfolk schoolteacher and has two children who are presently studying at college. Every year, Jim Hurley supports countless good causes in the Hampton Roads area and further afield.